J B Turner Ltd is a leading supplier of ready to market horticultural product solutions for the retail sector, forming a link in the supply chain into the domestic and world marketplace. J B Turner Ltd operates from a purpose built “Operations Centre” in Cambridgeshire, comprising of: offices, dedicated packing sheds, warehousing and distribution, and product care facilities. J B Turner also has a permanent presence in China and Holland. New product development is key at J B Turner Ltd! With intimate understanding of an ever-changing market place, and proactive monitoring of constant consumer demand for value for money products we do not stand still. At JB Turner Ltd, we pride ourselves on being at the forefront of innovation and offer a complete concept, design, manufacture and packaging solution. If you can think of it, if it's horticulturally possible, we will make it happen. Our in-house team will help you deliver your product to your customer in impeccable fashion. Is size important? To us, it’s not! J B Turner Ltd is more worried about building and maintaining a strong client-supplier relationship than the size of the order. We started as a small family run business, so we know how to cater for the needs of clients in all shapes and sizes. 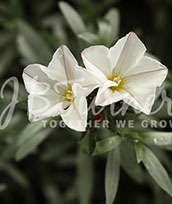 Our Company Motto is: “Together We Grow!” We adhere to this philosophy in every aspect of our business. We currently supply a myriad of products, in a multitude of formats to Supermarkets, Major Multiples, Garden Centre Chains and Independent Retailers. We are proud to be able to say that we treat each and every client as an individual and, as such, approach every enquiry, large or small, with flexibility and understanding of our clients’ needs. Each client comes under the portfolio of one of our directors who regularly review the service a client is receiving. 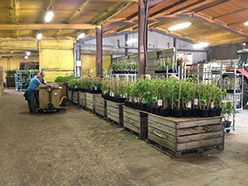 • Provision of Garden Centre Plants, ready for retail, straight from the nursery. All products can be offered Pre-Priced, Pre-Barcoded on trolleys ready for sale. • New product availability and offers are available to customers via a weekly email update. • We supply bulk deliveries for Supermarkets with scheduled out loading dates. We currently supply some of the UK’s leading Supermarkets with over 3 million units of our ready to market products as well as products produced in their own branding. • We offer a year round program of products to help plan, enhance and expand your sales seasons. • We have a dedicated team in Holland, sourcing some of the best products to market at the best prices, so we are able to filter the cost saving to you, our customer. Our team in Holland has over three decades of experience and an unparalleled relationship with all our Dutch growers. • Our products are sourced, grown and packaged to our strict requirements, on our own nurseries, UK growing partners and growing partners across Europe. We travel the distance to obtain the best available product for your budget, so you don’t have to! 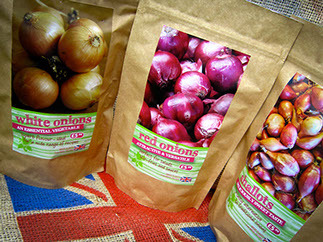 • We are proud to say that our products are grown ethically and have complete traceability. Our ethical sourcing protocols extend to our packaging, and labour provisions in each country we deal with. All of our clients have access to our enormous expertise. We work with the finest and most experienced growing experts in Europe. Our product offers are underpinned by this knowledge. We will guide you as the client based on their expertise, and ours, which is complimented by our constant eye on the marketplace. Ultimately, you can have exactly what you want from us, but if we feel the concept is not right, you will receive absolutely honest advice and guidance. This is all included in our basic service principles. Above and beyond that, because of our extensive experience in the field (no pun intended) we are able to provide a full consultancy service. We can guide you through the process and considerations of any size of Garden Centre or Horticultural Retail opportunity, whether it be in a supermarket or a local shop. This could be as simple as having a single trolley outside a small retail operation, or, it could be a complete build and stocking of a Garden Centre. We have constructed and consulted on new Garden Centre projects as well as complete overhaul, redesign, and modernisation projects. Our in depth experience of dealing with Supermarkets and Major Multiples means we are able to coach and train buyers who have little or no experience of horticultural products, or buyers who are wishing to update their knowledge in the market for their own personal development. We supply a comprehensive range of Pre-Packed, year round, plant products into the retail horticulture sector including: Roses, Shrubs, Hedging, Fruit Trees, Soft Fruit, Fruit and Vegetable Blister Packs. All our Pre-Packed products are packed at our on-site facilities using our own dedicated team, ensuring we have first-hand quality control over every point of process. If you are running a Garden Centre Retail Outlet, we are confident we have the right products for you to cover the vast selection of flora and fauna in order for you to maximise your full retail potential. Whether it be; Clematis & Climbers, Shrubs, Bedding Plants, Ornamental Trees, Fruit Trees, Topiary Trees, Bamboo or Grasses, JB Turner Ltd. can supply you with the product you require with the peace of mind of traceable quality. If you are a retailer of any size, and are considering adding Garden Centre Plants to your inventory, we will guide you through every step of the way. In the ever changing world of retail horticulture, product development and added value is critically important. With this in mind, we at JB Turner Ltd. offer our products with the option of an added value point of difference. This could be something as simple as a Rose or Bush Fruit, potted and trained on a curved piece of bamboo trellis or something much more complex and bespoke to your needs. We at JB Turner Ltd. know the importance of adding another dimension to draw focus and creating an alternative, increased value, sales potential on a same variety product. Order from our website by clicking on the link below!